Palmerbet Sports Team provide their AFL Tips for the 2018 AFL Grand Final, as West Coast and Collingwood prepare to face off for the sport’s ultimate prize. Shannon Hurn, Tom Barrass, Will Schofield. B Brayden Maynard, Tom Langdon, Jack Crisp. HB Thomas Cole, Jeremy McGovern, Lewis Jetta. HB Jeremy Howe, Tyson Goldsack, Travis Varcoe. C Jack Redden, Elliot Yeo, Chris Masten. C Adam Treloar, Scott Pendlebury, Tom Phillips. HF Mark Hutchings, Jack Darling, Mark LeCras. HF Will Hoskin-Elliott, Brody Mihocek, Jordan De Goey. F Willie Rioli, Josh J. Kennedy, Jamie Cripps. F Josh Thomas, Mason Cox, Jaidyn Stephenson. FOL Scott Lycett, Luke Shuey, Dom Sheed. FOL Brodie Grundy, Taylor Adams, Steele Sidebottom. I/C Liam Ryan, Liam Duggan, Daniel Venables, Nathan Vardy. I/C Brayden Sier, James Aish, Chris Mayne, Levi Greenwood. History: Played 51: West Coast 26 v Collingwood 24 (1 draw). Last Meeting: 2QF, 2018: West Coast Eagles 12.14 (86) d Collingwood 10.10 (70) at Optus Stadium. Final Thoughts: It all comes down to this. The two best sides of this year’s finals series face off for the 2018 AFL Premiership. After dominant wins last week – Collingwood’s ‘upset of the season’ against Richmond and West Coast’s dismantling of the otherwise impressive Melbourne – both clubs come in chock full of confidence. But confidence will be tempered, for we’ve seen sides crumble of the big day in the last four years. Adelaide were completely overrun in 2017, the Swans were shell-shocked by the Dogs in 2016, West Coast froze on the big stage in 2015 and the Swans again didn’t turn up in 2014. What will happen in 2018? Certainly, West Coast will hope to avoid a repeat of their 2015 efforts. After a stirring season that year, stifling sides with the ‘Weagles Web’, they were simply poor on the season’s biggest day. But this is a more experienced side. A coach and more than half a squad that has been here before. One which therefore knows what to expect not just from the first bounce to final siren, but the all-encompassing build-up, too. 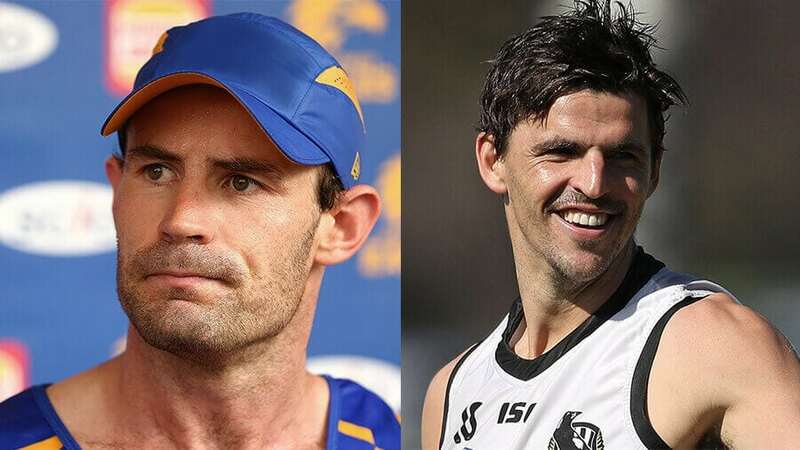 The Eagles’ forwards, particularly Josh Kennedy and Jack Darling, will play a huge determining factor on the result. Often out-muscling sides in the forward 50, if Shuey, Redden and Yeo can continually give them good service, they’ll be almost impossible to repel. But for those mids to get their hands on the ball first, West Coast will need to conjure a plan to suppress the dominance of Brodie Grundy. As a result, Scott Lycett and Nathan Vardy have a huge role to play on Saturday. For Nathan Buckley’s men, a similar pressure-effort that they brought to the MCG a week ago will take them 90% of the way to premiership success. The rabid attack on the footy in all parts of the ground stunned the premiership favourites into submission. Combined with a huge forward performance by Mason Cox and Jordan de Goey, the Pies seemed unstoppable on Friday night. But can Cox repeat his super-human efforts? He’s equally likely to have minimal impact on the game like in the qualifying final such is his (understandable) inconsistency. He’ll certainly have his work cut out if Jeremy McGovern goes to him. Steele Sidebottom has been immense this finals series and is a completely justified Norm Smith favourite. West Coast will extract huge confidence from not only the qualifying final win against the Pies, but the Round 17 win (all importantly) at the MCG. Before that clash they had big question marks over an ability to win at the home of footy. Some might say those still exist, given they haven’t won a final at the ‘G since their 2006 premiership triumph. But their dominance on the larger surroundings of Optus Stadium, you would think, will hold them in good stead. Teams-wise, it’s likely both clubs will go into the season’s biggest clash unchanged. The Pies are understood to have resisted the temptation to bring in an extra tall to help out against West Coast twin towers in the forward 50. Likewise, McGovern and Shuey are both likely to overcome minor knocks to ensure the Eagles field the same team as against the Dees last week. It’s all to play for, and we’re hoping it’s a season finale that lives up to the billing.